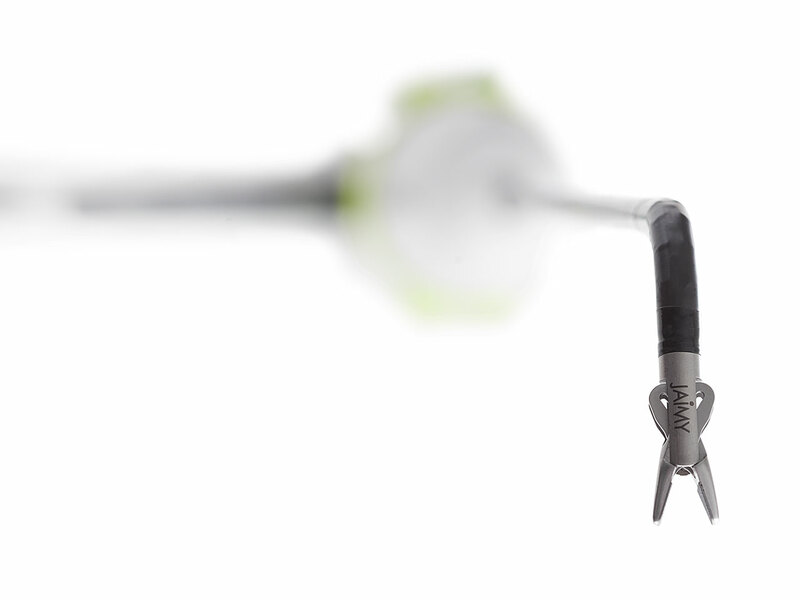 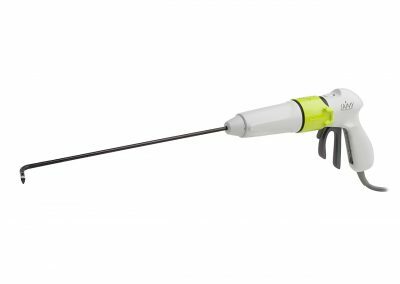 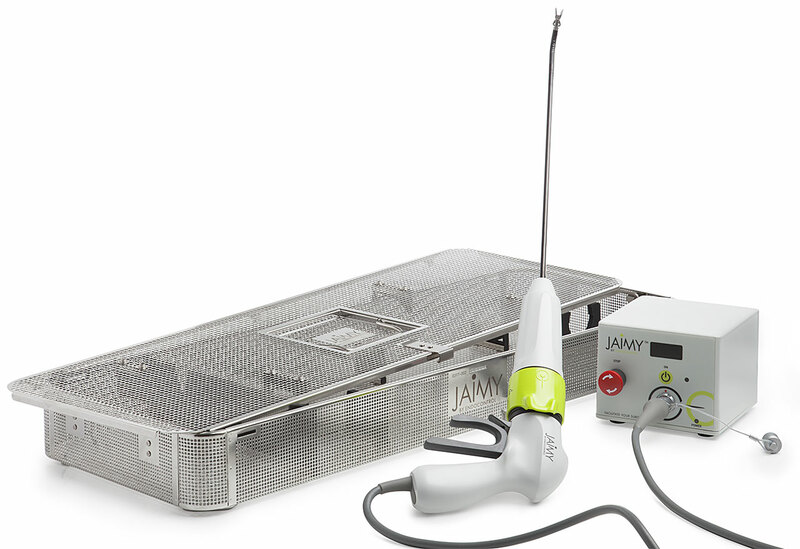 JAIMY™ Advance is the first motorized laparoscopic 5mm needle holder in the market. This easy to use, reusable and unique robotic device facilitates advanced laparoscopic suturing like never before. 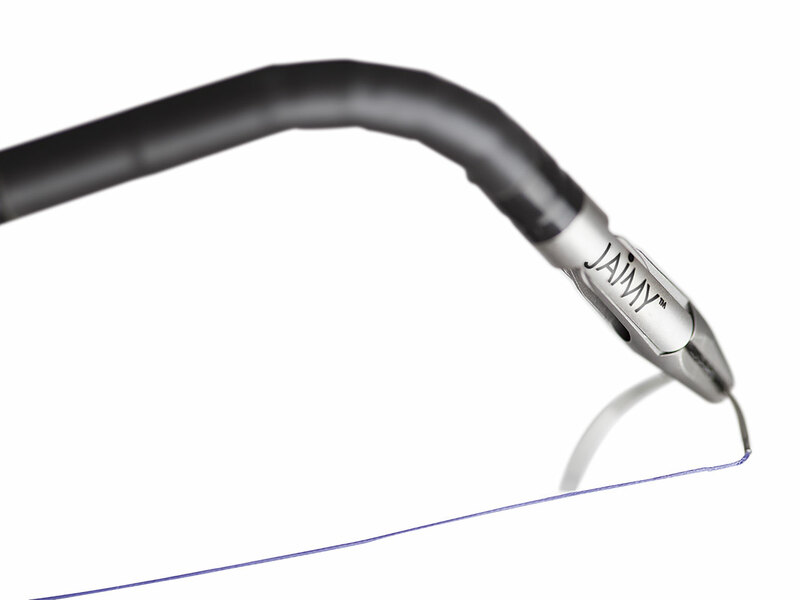 JAIMY™ is developed to fit all hand sizes and simple one handed operation. 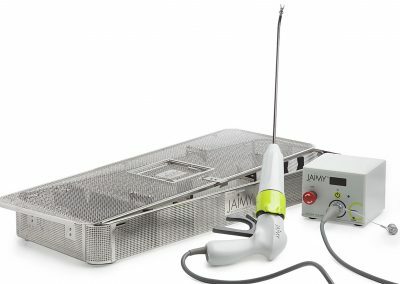 With bidirectional flexion and unlimited rotation of its end-effector, JAIMY can access difficult to reach areas in the abdominal cavity. 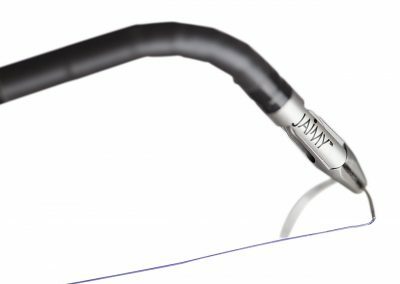 It overcomes the ergonomic restrictions of conventional laparoscopy without increasing incision size, hence making complex procedures easier. 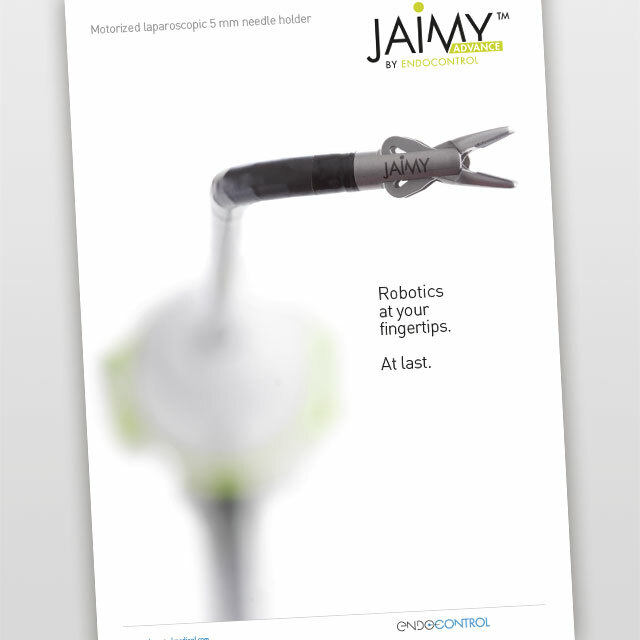 Reusable, space saving and easy to use, JAIMY takes minimally-invasive surgery a step further.